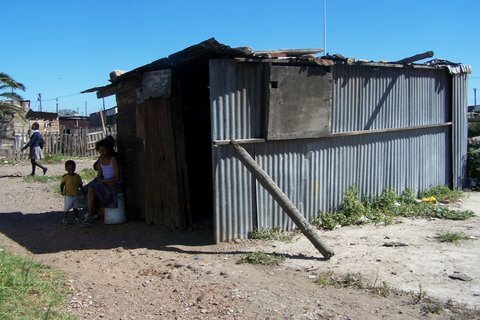 Nov 2012 Although Port Elizabeth is a modern town and conditions may not be as bad as some of the larger urban areas there are still parts that consist of nothing more than self erected corrugated iron and wooden houses and, because of high unemployment and the high death rate due to poor conditions and AIDS, there are many families that live at a subsistence level, often depending on an aged grandmother to look after children. The result can be street children, living as best they can. There are a number of charities attempting to alleviate these conditions, get the children into school and providing more than just handouts. One such is The Oliver Foundation (www.theoliverfoundation.com) which provides funds for local organisations to coordinated help, shelter and training for young people. See the video at http://youtu.be/qDEtJxGhuR4 The Khayalethu Hostel already supplied this need but they have now developed a new hostel. And this needs money. I have personally visited the area and know that what they are doing is effective and enabling some youngster to climb out of the impoverished townships. Grandson and son-in-law have climbed Kilimanjaro with a group of others in aid of a very special charity that is doing excellent work in a township in Port Elizabeth, South Africa. They planned to raise �,000 for projects and, in the end reached over �,000! If you find my website useful, please dig deep. Umzi Wethu is also upported by the Oliver Foundation. They have just received a Rolex Award for Enterprise. While we were travelling to and from airports in Cape Town and Port Elizabeth we were astounded to see miles of 'townships' each side of the motorway. 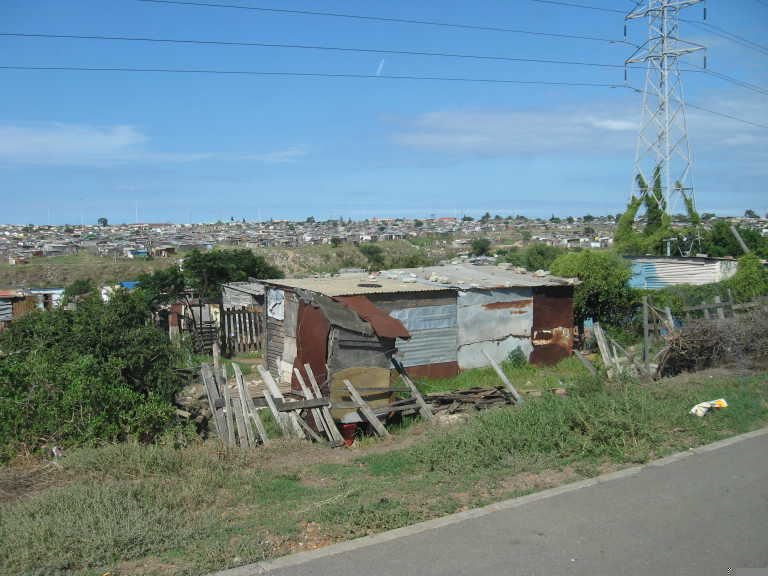 I had thought of townships as being groups of shanty dwellings, not the endless accumulation of shacks that I saw. Many had electricity poles running down each of the dirt roads between the shacks but little else in the way of amenities. 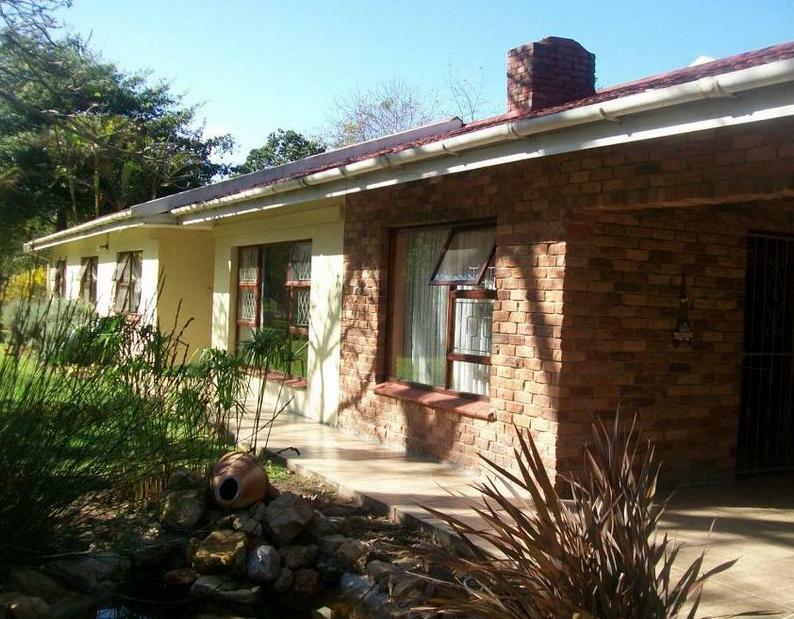 Some attempt has been made to build small bungalows to rehouse people. Some townships are 'official' and some completely unofficial and unregulated. If one is lucky one can get electricity if you can afford a card to use it. If you are lucky you are not too far away from the water standpipe. You are unlikely to be lucky enough to have a toilet and drains, so your 'loo' is a bucket. If you are lucky this will be collected and emptied. But what puzzled me was that the children, especially schoolchildren, were well turned out, and their clothes, spotless. We visited some of these areas where we saw various attempts to help, with creches, play areas, craft workshops and some teaching of pre-school children. Also a Training Centre for teenagers, many of them AIDS orphans, where they can live in, learning carpentry, domestic skills, catering etc. See the Oliver Foundation ** It was encouraging, but the housing problem seems overwhelming. 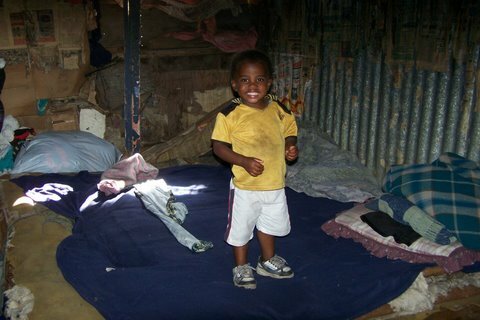 For instance, one of the children who attends a creche sponsored by the Oliver Foundation is called 10c. This is because when he attends he asks for 10 cents so he can buy a Fetcook a sort of African Cornish Pasty, ingredients: Bread dough with filling, the most popular being a mildly curried mince & chopped up vegetables, deep fried. Since this photo was taken in March 2008, 10c has left "home". He was found wandering on the streets, was referred to Social Services and was taken into care. I just hope he is still smiling.